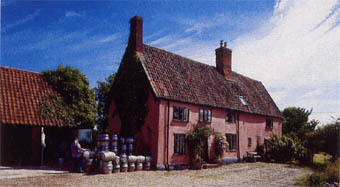 Mardle Hall is the site of Buffy's Brewery. This photograph was taken in the 1960's. 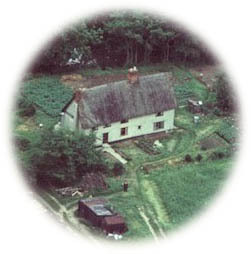 The brewery's namesake is the previous owner of the house and he can be seen in the top right photograph as the "black speck" just below the concrete path. 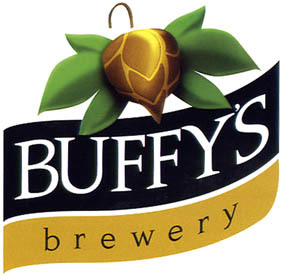 Buffy's produced its first beer in 1993 and gains its name from a well-known and revered former resident of the 15th Century Mardle Hall, home of the brewery. The brewery was founded by Roger Abrahams & Julie Savory, firstly as a lifestyle choice, but as the beers became very popular with the local pub trade the decision was made to expand the business and offer a wider selection of fine ales to all. The company now employs five people including a dedicated brewer, sales rep and drayman. Over the last few years Buffy's has established itself as one of the leading brewers in the micro sector. Our fine ales have won numerous awards at local and national level and we strive to produce the highest levels with every pint brewed. "Buffy's Brewery will never compromise on quality"